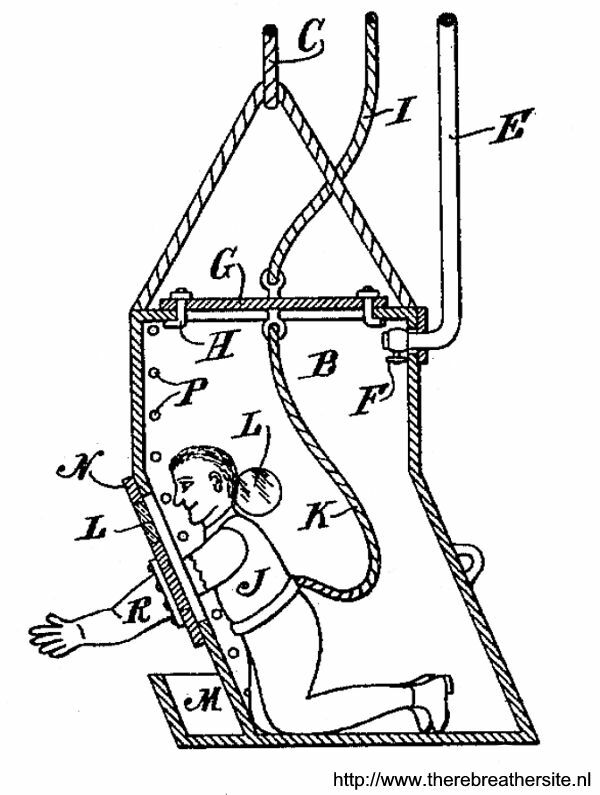 A device patented by John L. Watson in 1903 is really as much a small diving-bell as an armoured suit, but it is included here on account of its resemblance to Lethbridge's apparatus, constructed nearly two centuries earlier. 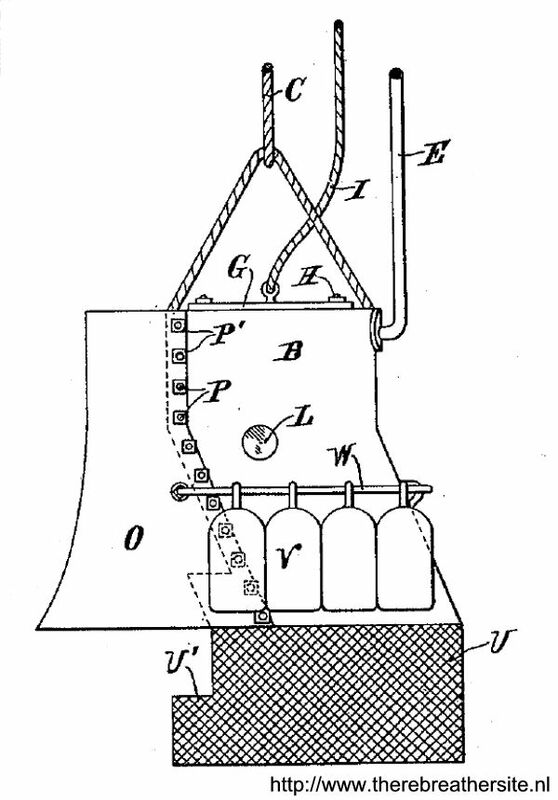 It consists essentially of a rigid airtight casing (Fig. 539) in which the diver kneels, putting his hands through two flexible and watertight sleeve-gloves. 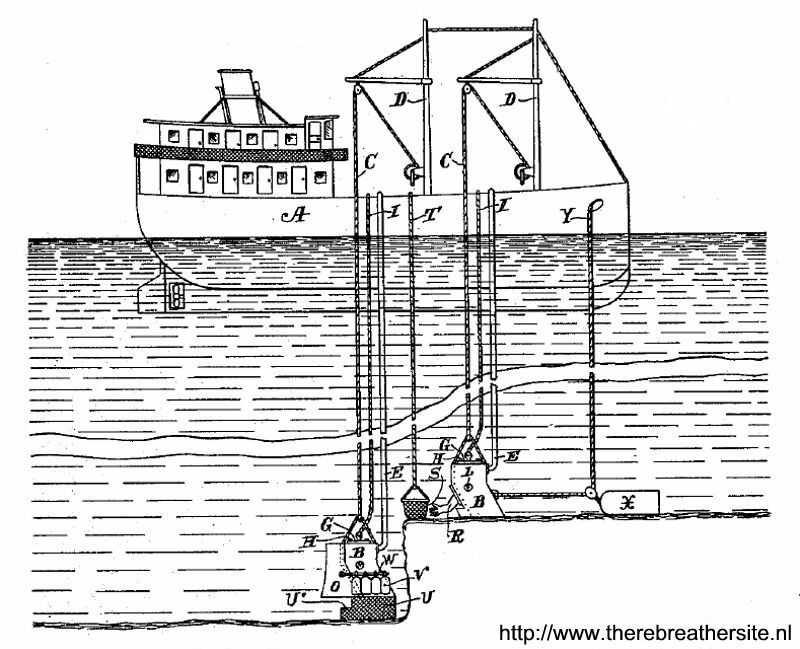 The casing is supplied with air through a pipe, and is supported and moved from place to place by a barge. A detachable hood can be bolted on to the casing to convert it, so far as shape is concerned, into an ordinary diving-bell. When this is done, the diver can discard his gloves and open a door communicating with the hood.